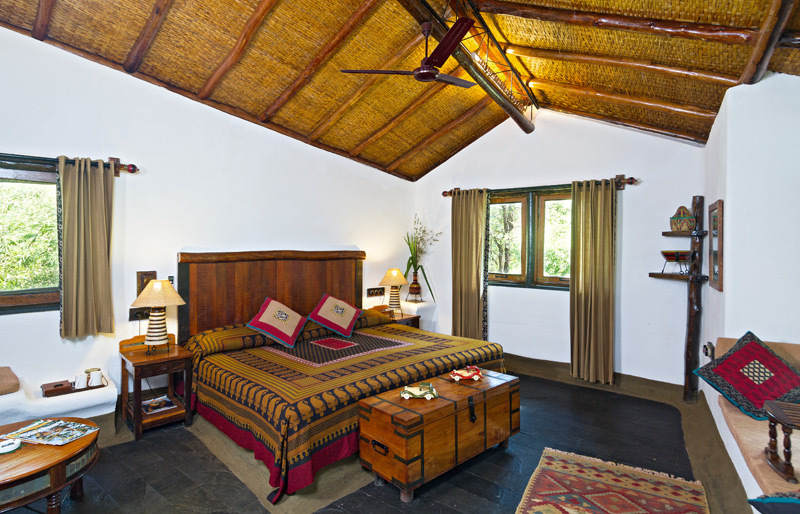 Reni Pani is our top pick of places to stay near to Satpura National Park. 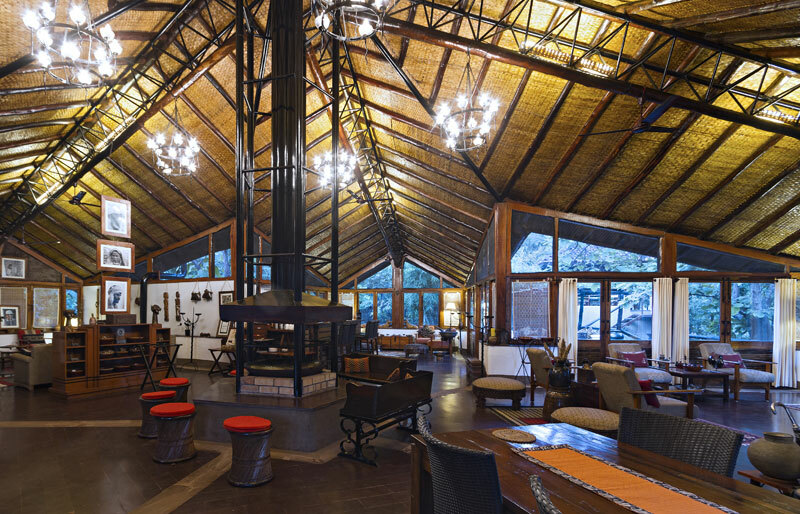 The service, accommodation and food are all superb whilst the friendly staff manage to instill a relaxed vibe in the camp. 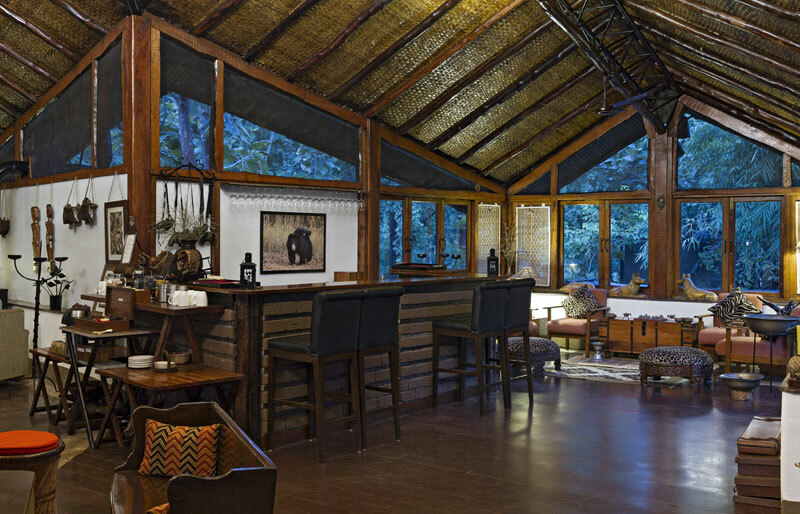 Reni Pani Jungle Lodge is an exquisitely designed conservation and wildlife focused lodge located close to the Satpura National park and Tiger Reserve. 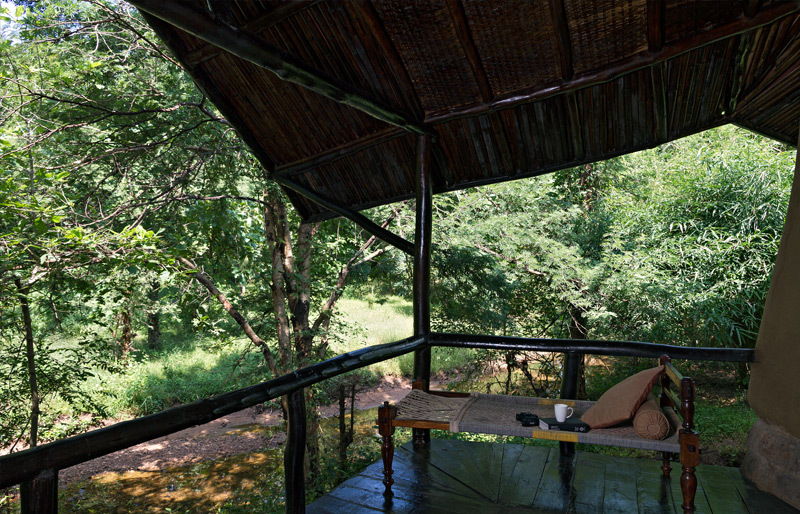 It is spread over 30 acres of striking forest cover typical of the Satpuras. 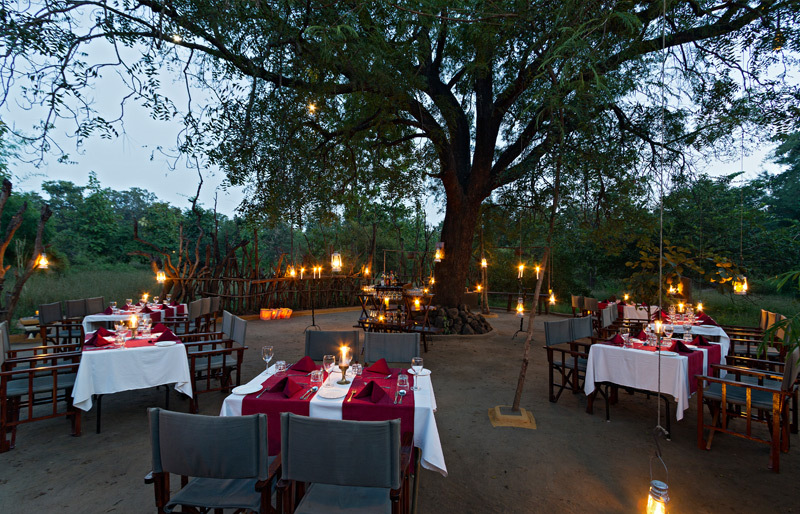 The surrounding areas are known for the presence of wild boar, deer, black buck and leopards from time to time. 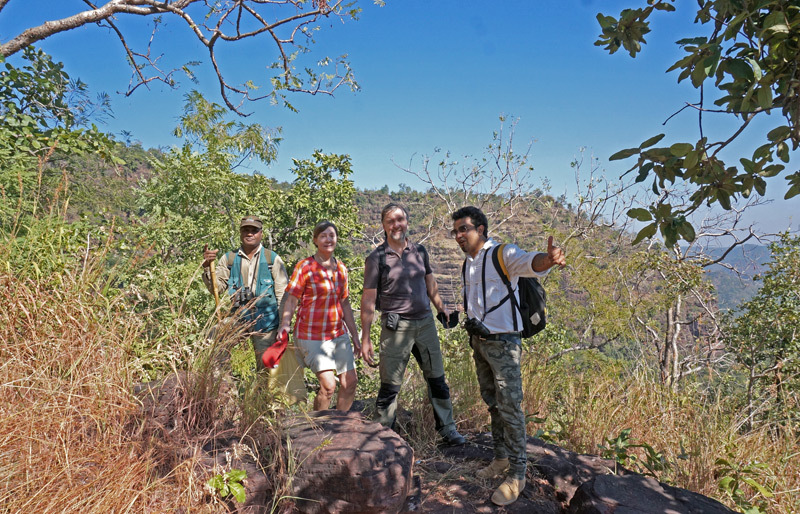 The abundance of Reni trees, which is a type of berry tree, attracts sloth bears. 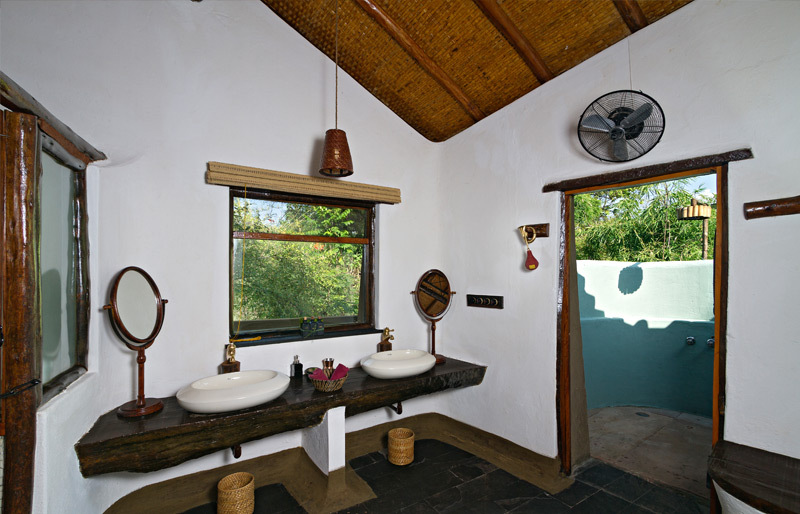 The lodge also attracts a large variety of bird species. 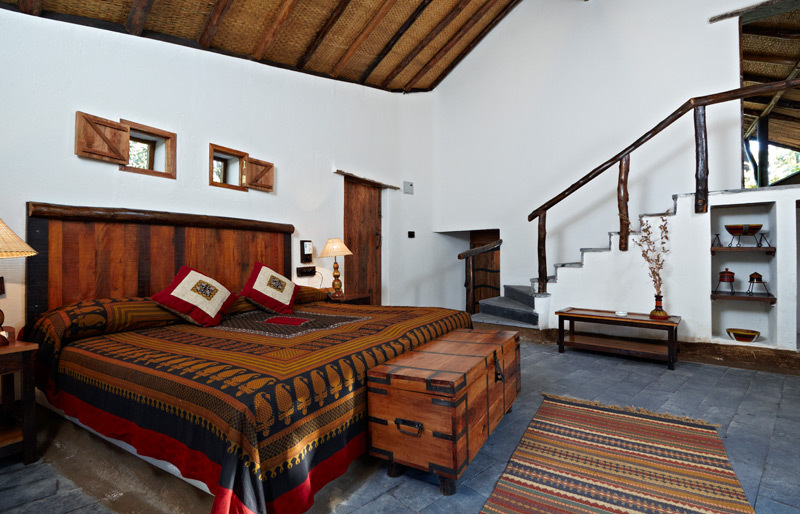 Accommodation features 12 cottages built from indigenous materials and characterised by its viewing decks and large bay windows. 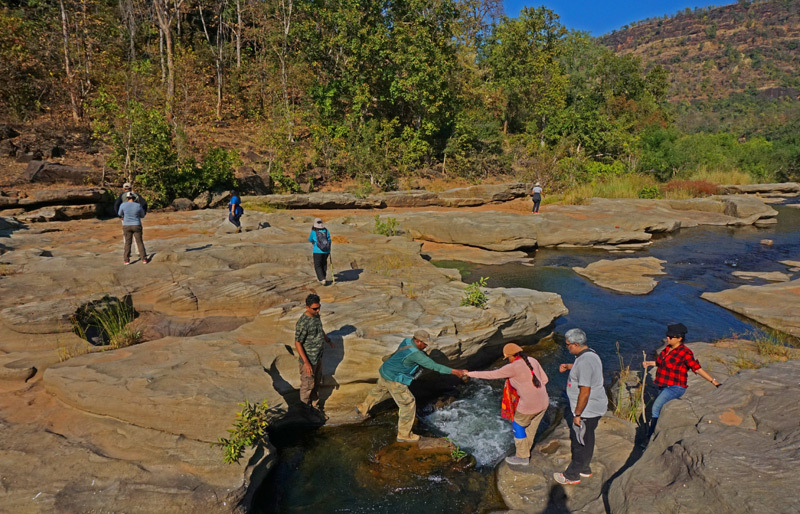 There are three distinct structural cottage designs; the nullah units, forest units and hill units which merge with the environment. 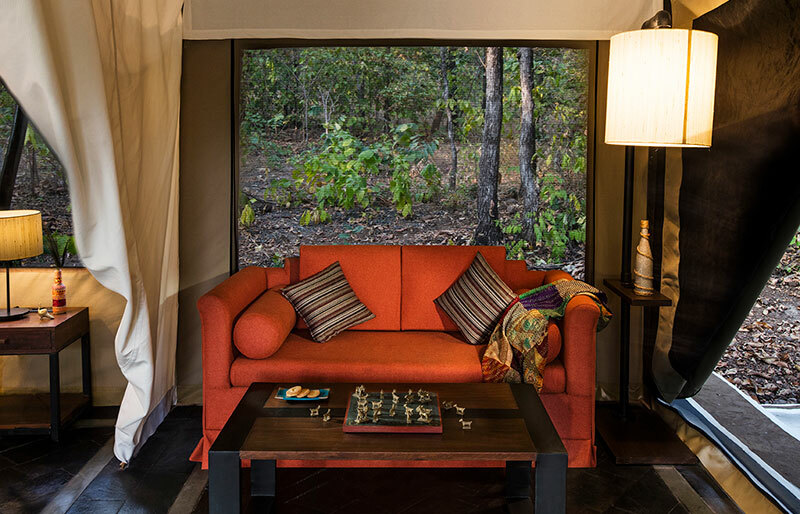 You can also choose to stay in a luxury tent which are exquisitely designed and located around a perennial water hole with great opportunities to see wildlife right from your doorstep. 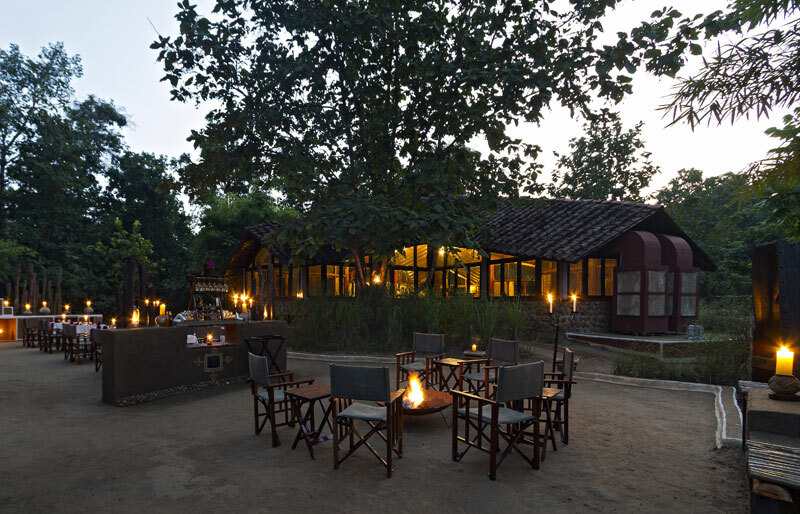 There’s a meeting place, known as the ‘Gol Ghar’, that features a dining area, bar and library. 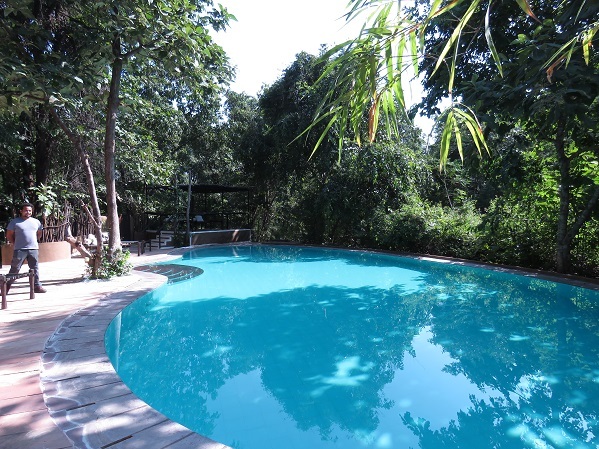 Additionally, the lodge has a swimming pool as well as a wellness centre offering a massage service. 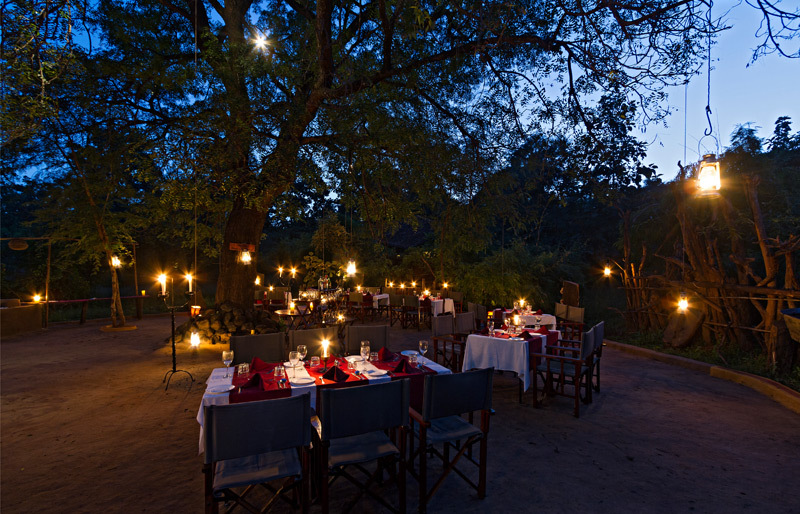 Dining is a real highlight at Reni Pani, evening meals are served in outdoor venues adorned with lamps and fairly lights creating a magical atmosphere. 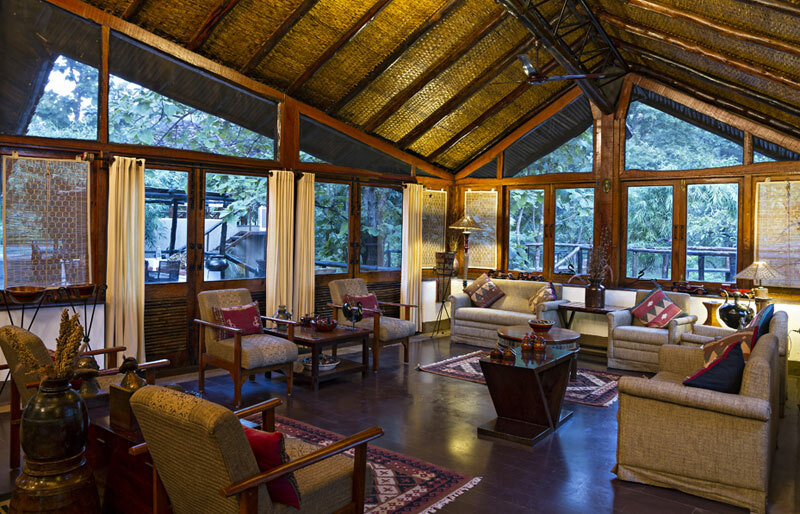 Activities organised by the Lodge involve bird watching; canoeing excursions; anthropological expeditions through nearby villages; nature walks and treks. 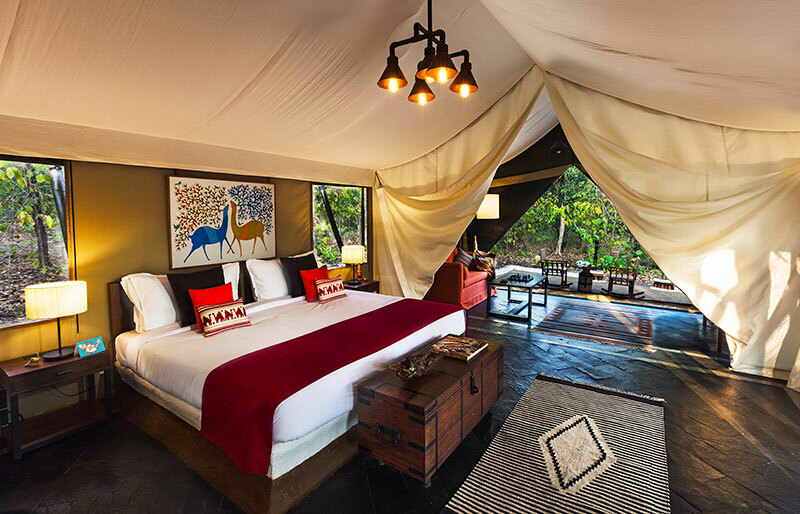 A range of safari trips can be arranged such as boat, horse, elephant and 4x4 game safaris. 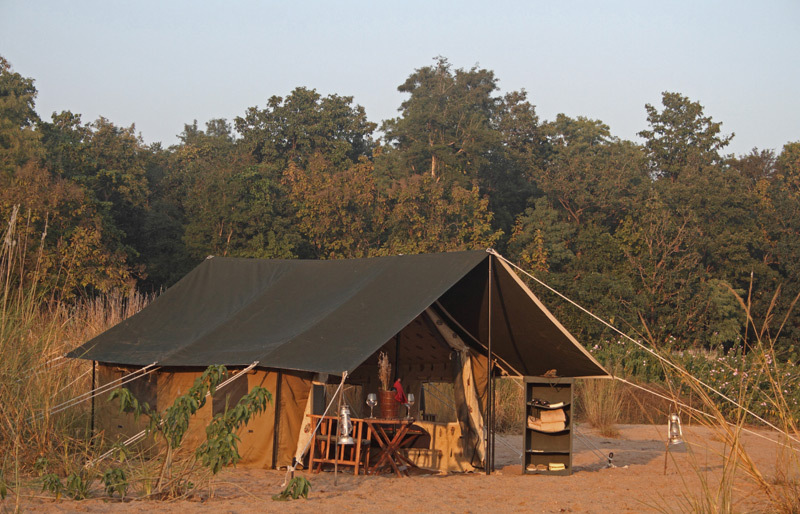 A unique experience is also offered by Reni Pani; Satpura Under Canvas. 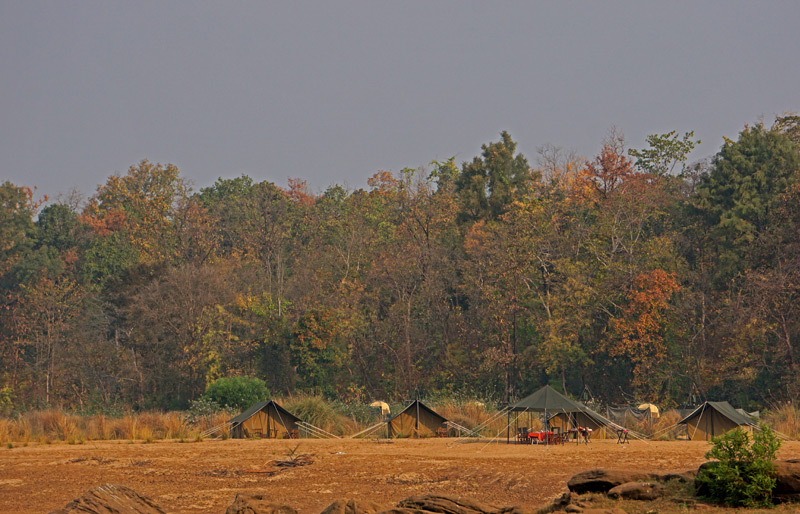 This is a walking and mobile camping expedition through the Satpura Forests of either 2 night & 3 day treks or 1 night and 2 day treks. 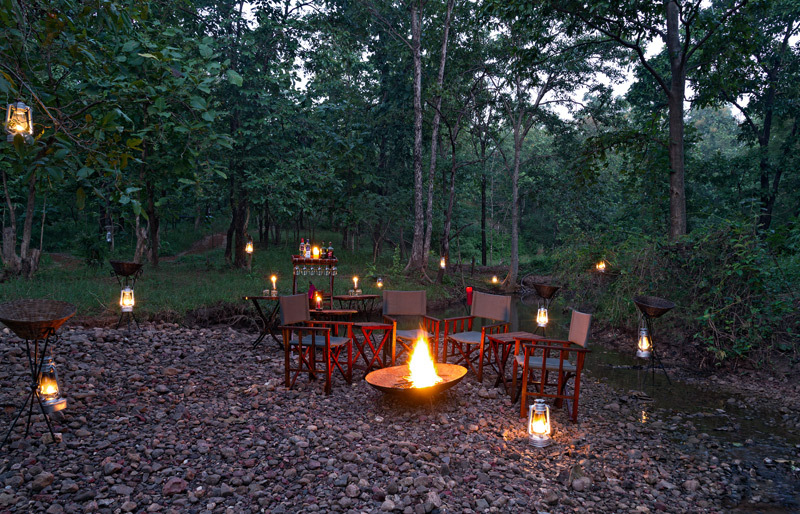 The landscape of Satpura National Park is some of the most beautiful in Madhya Pradesh and this is the ideal way to really appreciated it at close quarters.